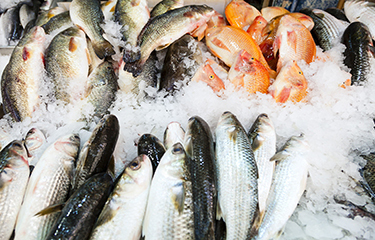 The value of U.S. seafood imports increased significantly for the first six months of the year, while volume dropped slightly, according to new data from NOAA’s National Marine Fisheries Service. While volumes of non-breaded frozen warmwater shrimp rose 6.4 percent from January through June of this year, the average unit value of the imported non-breaded frozen warmwater shrimp declined – from USD 4.43 (EUR 3.81) a pound to USD 4.30 (EUR 3.70) per pound, Deborah Long, a spokesperson for the Southern Shrimp Alliance, told SeafoodSource. “Although this is a small decline in price, the effects on U.S. market prices for shrimp are augmented as shrimp imports have become increasingly concentrated in peeled and cooked forms,” Long said. Meanwhile, domestic shrimp prices have also fallen in 2018. June ex-vessel prices reported for the northern and western Gulf of Mexico for all 26/30-count shrimp declined as much as 15 percent, compared to June 2017, according to Long.